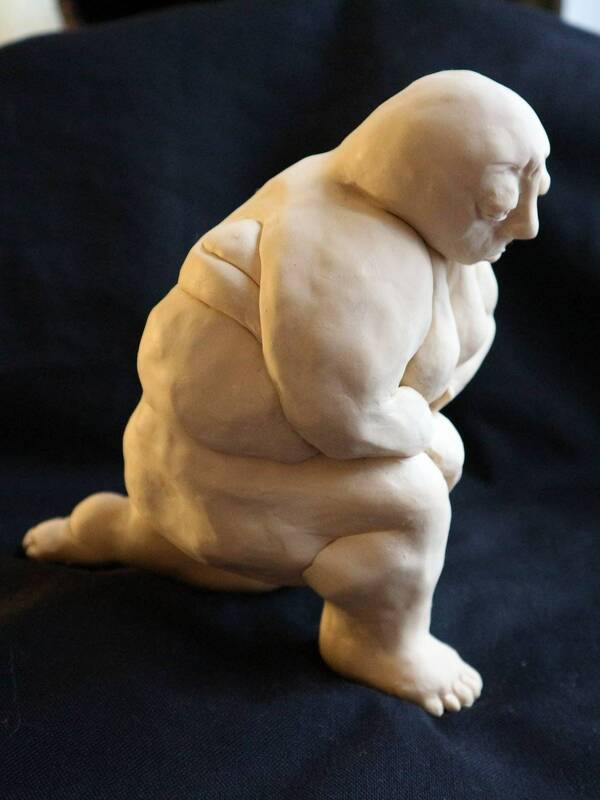 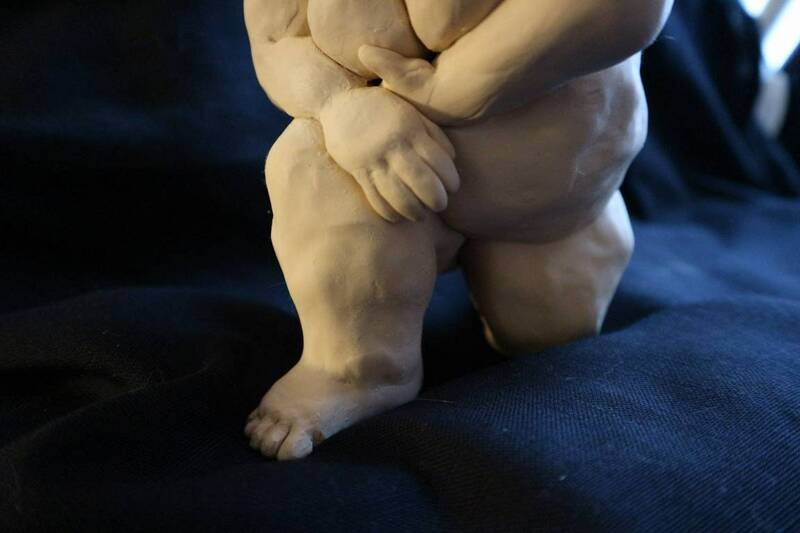 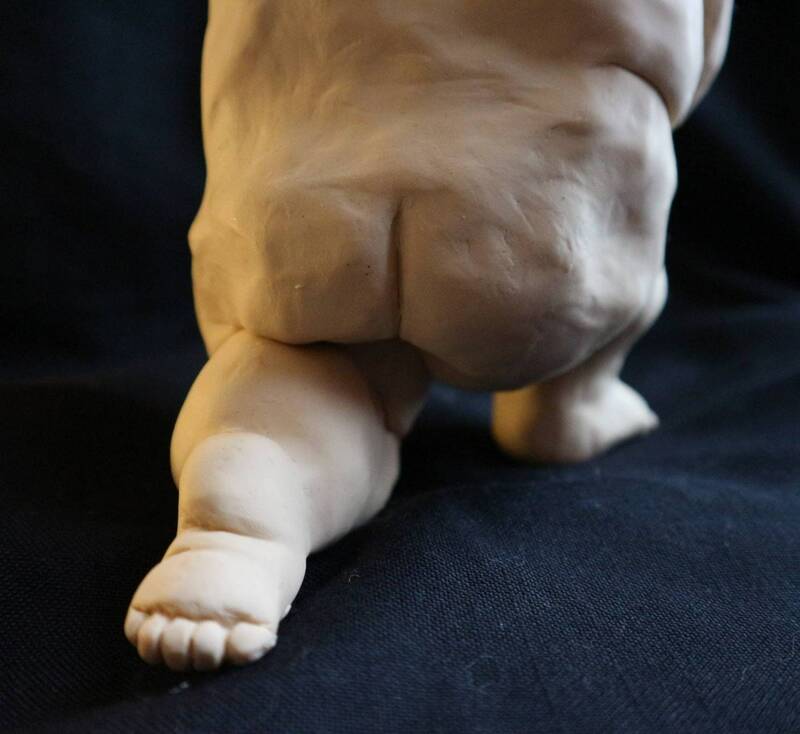 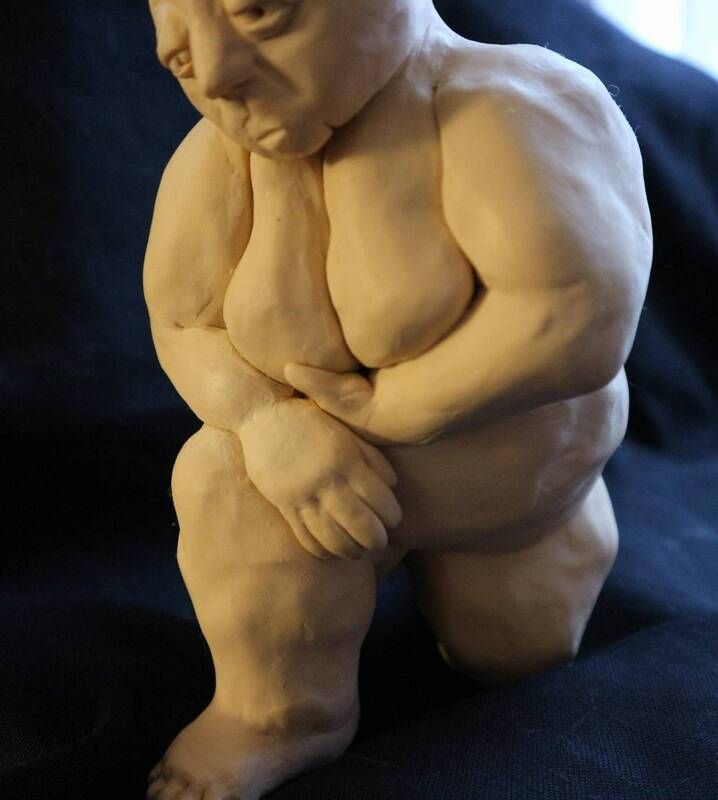 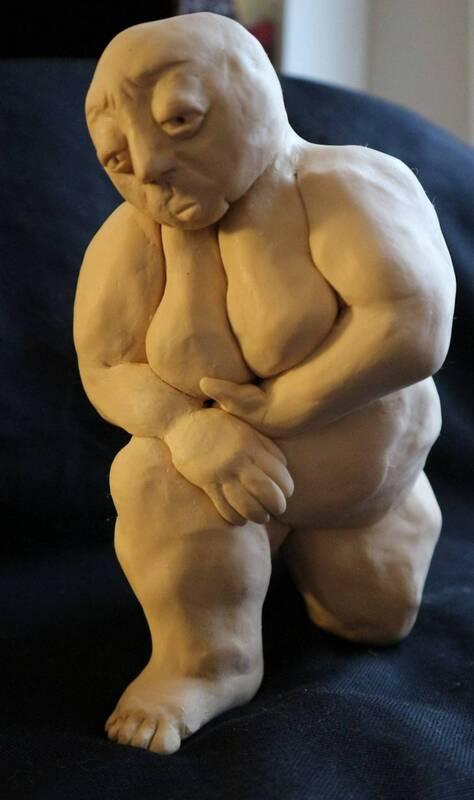 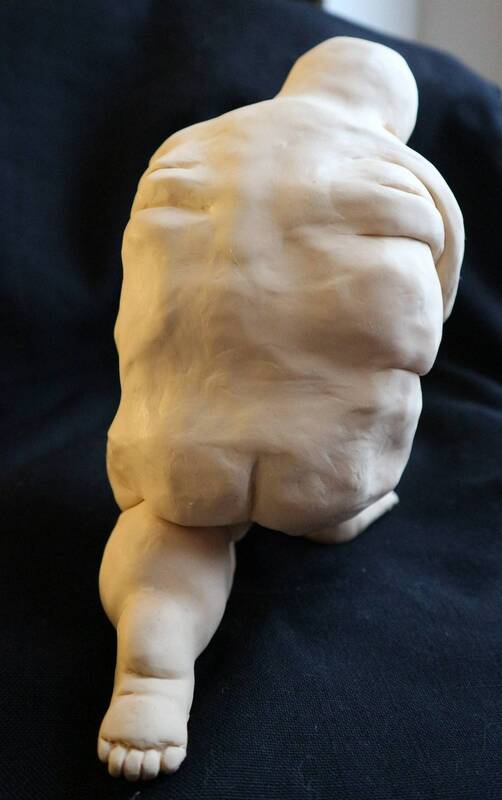 This polymer clay figurative sculpture captures the movement of a moment when the fat body is working to bring itself to its feet. 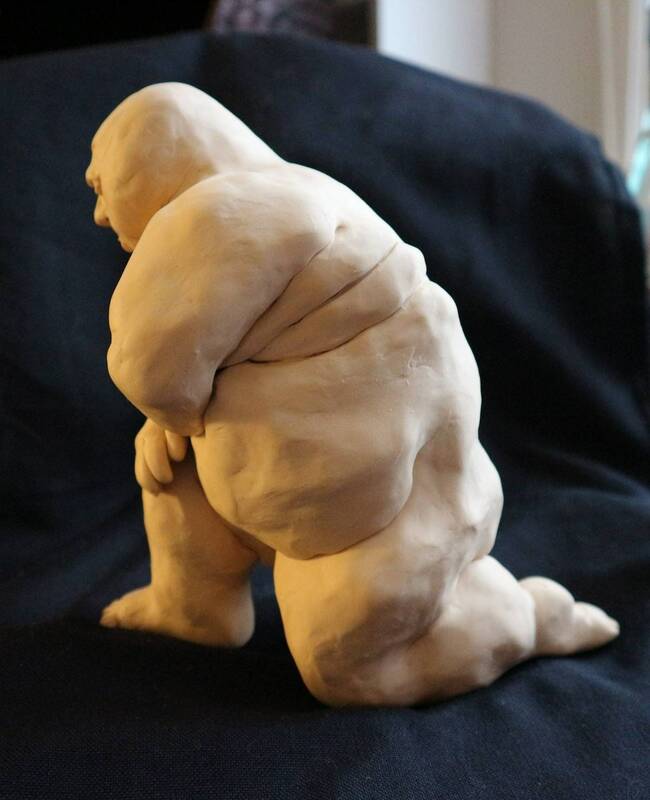 It may look like a quiet moment of contemplation, but I wanted to convey the overwhelming rush of thoughts one experiences when one has to perform a physical feat in public as a fat person. 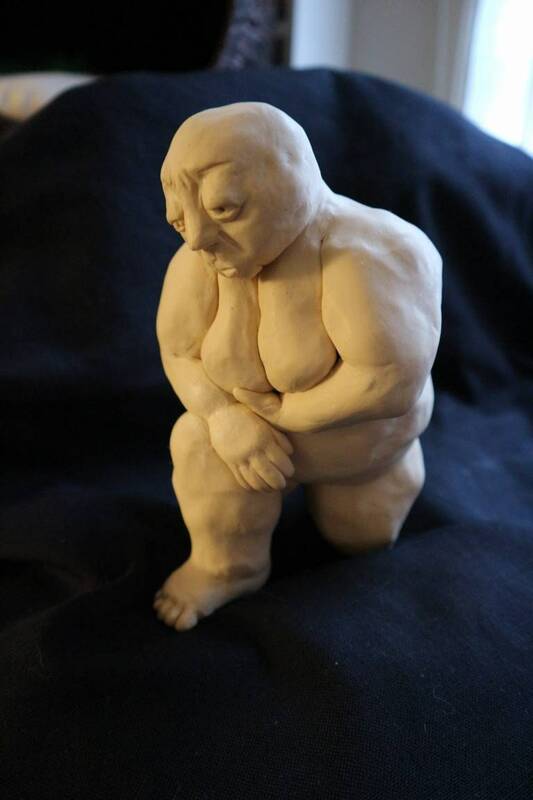 At once she is self reflective, frustrated, ashamed, sad, and determined.